This Wikibook is used in Law-Related Lessons from People's Law School. 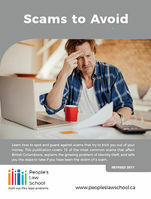 Consumer Law Essentials from People's Law School describes how to protect yourself when you buy something or hire someone to perform a service. Learn your rights for common consumer purchases and contracts, and steps you can take when something goes wrong. 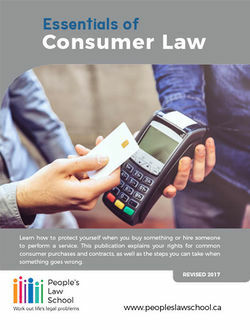 Consumer Law Essentials © People’s Law School is, except for the images, licensed under a Creative Commons Attribution-NonCommercial-ShareAlike 2.5 Canada Licence. This page was last edited on 19 October 2018, at 02:23.